Howard Eugene (Gene) Shipley, well-known teacher and track and cross-country coach, passed away on Wednesday morning, November 22, 2017, in his home in Moline, Illinois, where he had lived since 1958. He was 93 at the time of his death. Services are 11 a.m. Monday in the Horizon Room at Trimble Funeral Home at Trimble Pointe, 701 12th Street, Moline, and will be led by his family. Burial is in Rock Island National Cemetery, where he will be buried by his wife with military honors presented by Moline American Legion Post #246. Visitation is 2 to 5 p.m. Sunday at the funeral home. Memorials may be made to the Shipley Scholarship Fund. Gene was born in Ottumwa, Iowa, on April 18, 1924, as the first of four children to Jack and Edna Shipley who later moved to Moline. After graduation from Ottumwa High School, Gene enlisted in the United States Marine Corps, and fought in the Pacific as a Carlson Raider which was eventually made part of the Second Division that were involved as being the first wave on many of the famous island landings. He received the rank of corporal and was awarded the Purple Heart for wounds received. The war had a profound effect on the rest of his life. He attended Iowa Wesleyan College in Mt. Pleasant, Iowa, after leaving the service. After his first year of college, he met and married Barbara Jean Pherigo, on June 16, 1946, who joined him in Mt. Pleasant for his remaining three years of college. After one year of marriage, they had their first of three children, Dennis Michael Shipley. Upon graduation with a teaching degree in history, Gene took his first teaching and coaching job in Selma, Iowa and rented a farm outside of Selma where he took care of a small herd of first calf heifers as part of his rent. Their second child, Cynthia Jean Shipley, was born shortly after the family moved to Ottumwa, and Gene went to his second teaching and coaching position at Agency, Iowa, another small town outside of Ottumwa. He was then offered a position at North English, Iowa where he stayed for a year. He moved to Moline in 1953, to accept the high school head track and cross-country coaching positions which he held for 32 years until his retirement. In Moline, Gene began teaching at John Deere Junior High School and eventually moved into a teaching position in the high school where he taught in the Social Studies Department. During his successful tenure as head track and cross-country coach, Moline had many successful athletes who went on to compete at the college ranks and many who went on to be successful coaches themselves, Ron Swanson at Pleasant Valley and Jeff Quick who served as head coach at Moline, to name a few. His teams won the 1960 state championship and took second place in 1962. Gene retired from teaching and coaching in 1985, and he and Barbara had anticipated him teaching and coaching in an overseas program. Unfortunately, Barbara was diagnosed with breast cancer that summer and they cancelled their overseas plans and instead spent long summers on the 80-acre farm they owned outside of Blakesburg, Iowa, near Ottumwa, and they wintered at Ft. Walton Beach in Florida for many years. They also had purchased a fifth wheel trailer and managed to spend a few weeks in Wyoming or other western states where they had previously camped with their children. After Barbara’s death in 1999, Gene continued the tradition of wintering in Florida and spending part of the summer out west until he could no longer drive. He enjoyed his grandchildren and great grandchildren immensely and attended many of the activities in which they were involved. While he was able, he was an avid runner competing in four different marathons. He loved children and animals and had horses and dogs in a good part of his adult life. He will long be remembered and loved by his family and friends, his students and his athletes. 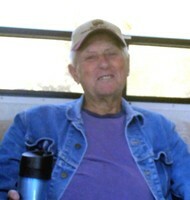 Gene is survived by his son, Mike Shipley; a son-in-law, Bruce Meers; six grandchildren and spouses, Christopher and Aubrey Meers, Robin and Jeffrey Dubrow, Becca and Dustin Peterson, Shawn and Lynn Shipley, Seth Shipley, and Brynn Shipley; five great-grandchildren; and a brother, Ron Shipley. He was preceded in death by his wife; his daughter, Cindy Meers; a brother, Allen, who was killed in the Korean war; a sister and brother-in-law, Joy and Jack Dye; and a sister-in-law, Bettelou Shipley. Gene Shipley was such a "stud" on our campus of MHS. I always admired how he dressed so sharpley with his sport coat, tie and wing tip shoes that would click with each step he took on the floors of our wonderful high school. We were lucky to have had his influence in our lives as well as many other wonderful teachers we looked up to for guidence. I am not sure how many state championships Moline has won but Mr. Shipley was the coach of the one I know of and that was the track team of 1960 and then a second in 1962. He was a great man and a great coach of sport and life. Thank you, Mr. Shipley and rest in peace for a life well lived. Jim Simon, Class of "62"